Paris-born Chef Stéphane Gliniewicz was propelled by a lifelong love of bread, and started his boulangerie training at the 5* Hotel Plaza Athénée in Paris. Here Stéphane was trained by celebrity pastry chef Christophe Michalak (winner of Coupe du Monde de la Pâtisserie - Pastry World Cup - in 2005) and prolific 3 Michelin-starred Head Chef Alain Ducasse. Meanwhile, Stéphane also worked towards his 4-year Bachelors in Bakery qualification, which he received with honours in 2007. 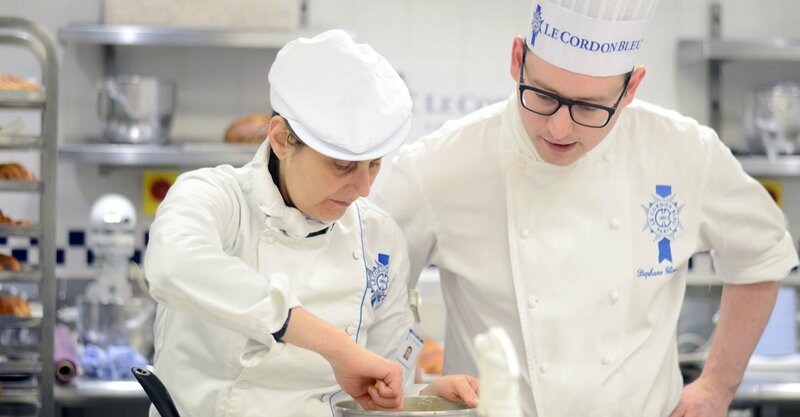 Chef Stéphane joined the Boulangerie teaching team at Le Cordon Bleu London in 2017. After completing his studies, Chef Stéphane moved to London and gained a position at the 2 Michelin-starred Hélène Darroze at The Connaught. Here Stéphane was trained further by Head Baker Yohan Ferrant, whom he found to be a great inspiration. In 2009, he went on to accompany Chef Yohan Ferrant to Spain where Stéphane would be Sous Chef for two bakeries and help to open a further two. Once this project was complete, Stéphane returned to London and took up his first Head Baker position at the 5* Pennyhill Park Hotel, Surrey. Chef Stéphane held further Head Baker positions in Paris, London and Dubai, then in 2012 was tasked to open the new 5* hotel Café Royal on Regent Street with the Executive Pastry Chef, Simon Jenkins. Here he was part of the team that created more than 20 unique new Danish pastries including the ‘pecan treacle’, ‘lemon crumble brioche’ and ‘the unique raspberry croissant’! In 2014 Chef Stéphane opened the new members club Pavillion on Kensington High Street with Chef Adam Simmonds. From here in 2015 he moved to 5 Hertford Street, Mayfair, as Head Baker, reviewed as London’s best private members club in London.